Irish film maker Phil Evans mailed us this morning to tell us that he is back this year with a new film a new Super 8 project titled Format Perspective. Following the wonderful documentary The Scrum Tilly Lush Evans returns with focus now on skate photography covering the passions and sessions of skate photographers in different countries. The list of snappers that will be documented include Nils Svensson from Malmö, Stuart Robinson in Belfast, Alex Irvine in London, Dublin’s Richard Gilligan, Bertrand Trichet in Barcelona/Tokyo and Sergej Vutuc from Heilbronn in Germany. 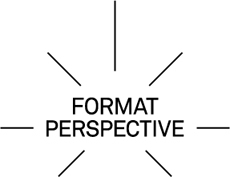 Look out for it this summer and go to www.formatperspective.com for more info.